Sopas is a term for “soup”. 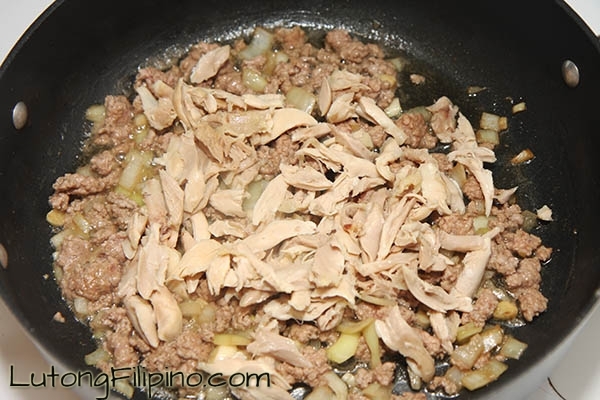 The yummy dish is a richer alternative to the American chicken noodle soup. 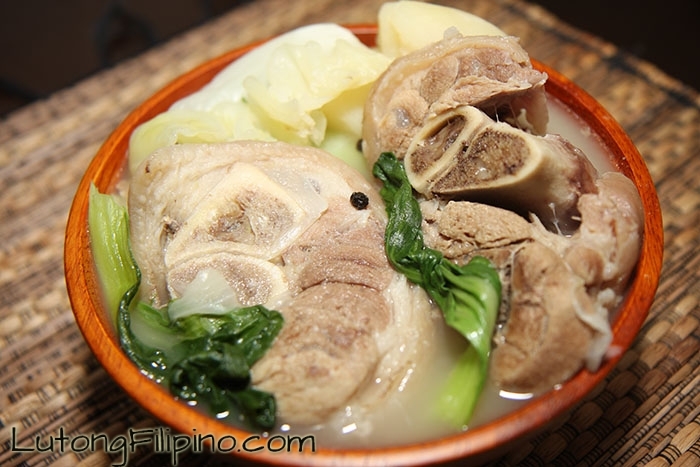 The difference is how sopas uses milk to enrichen the flavor of the broth. 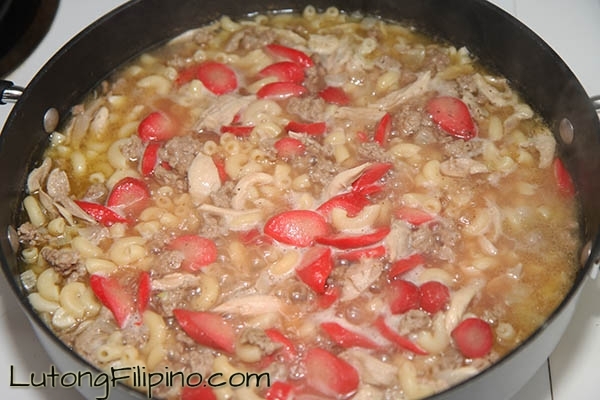 Additionally, the bone of the chicken is left intact to give the sopas a bolder flavor. In culinary tradition, the bone of the meat maximizes the flavor. 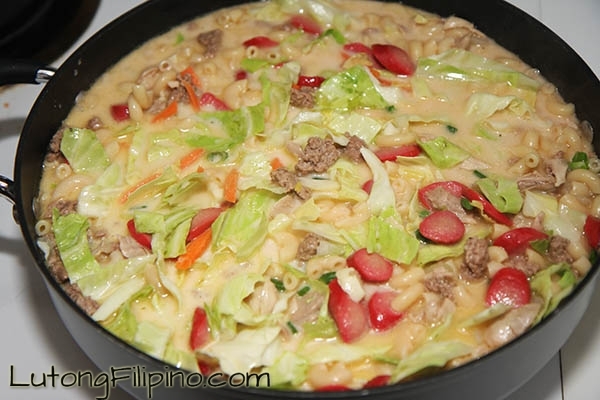 Sopas is a Filipino family favorite during the rainy season. Many families have their own twists that they pass down from generation to generation. You’re not just tasting Filipino cuisine, you are tasting how each family added their own personality to the dish. 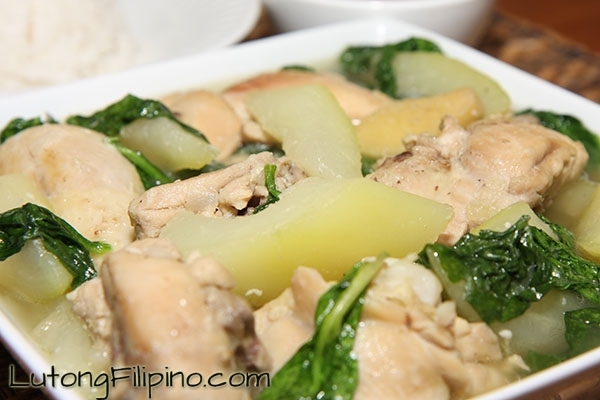 The nutrients in the dish help fight off colds and it’s very filling. Mirepoix is a flavoring made of chopped celery, onions, and carrots. 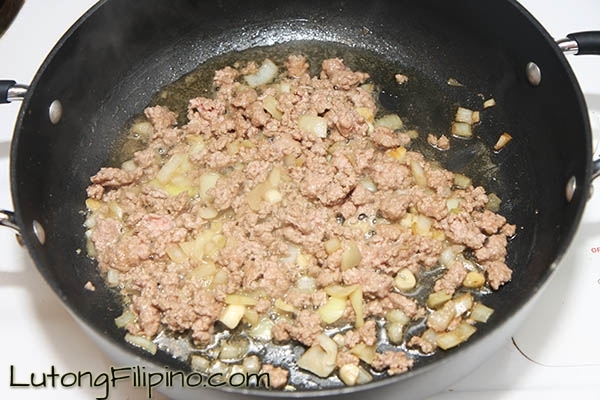 As a base, it can be used with a broth with butter or olive oil. However, you can add spices, potatoes, rice, and beans to the soup. 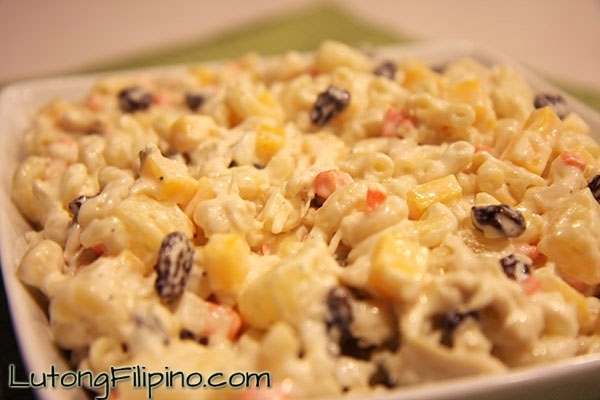 Elbow macaroni with a hard boiled egg on the side gives the dish color. 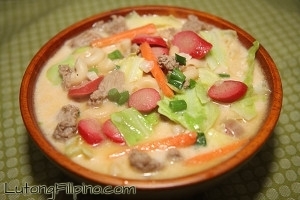 If you don’t want chicken sopas, you can replace it with chicken liver, cut up hot dogs, pork, and even luncheon meats. There are no limits to how this dish can be prepared for your family. Preparation is pretty simple and easy. 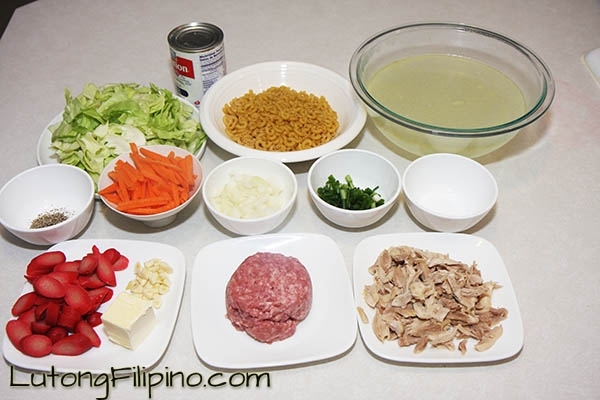 The best thing about Filipino cuisine is how the meals are simple and low budget, yet you are getting the best meal in a short amount of cooking time. Feel free to bring it to work in a canister and reheat it, or you can even create this dish while camping.